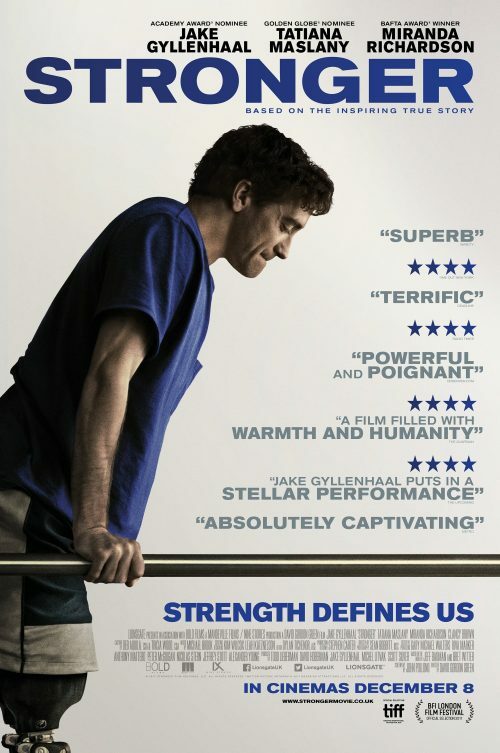 With just over a month to go before Stronger hits UK cinemas, we have been sent over the new trailer, and poster. The problem with that is the poster is almost the same as the one that we saw back in July. I did make a comment about the poster when the first trailer arrived. That prediction has come true. The trailer on the other hand just seems to be the same as all of the other trailer we have seen but with slightly different clips added here and there.